TRNHA is a great place to work! 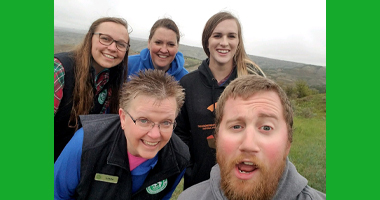 We have Park Stores located in Theodore Roosevelt National Park, Knife River Indian Villages National Historic Site, and Upper Souris National Wildlife Refuge. 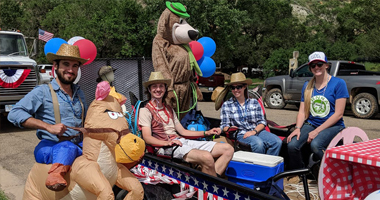 TRNHA is now hiring for the 2019 summer season! The Civilian Conservation Corps picked a beautiful spot when they built this scructure in the 1930s. Bison is the largest mammal in North America and can be spotted in Theodore Roosevelt National Park! 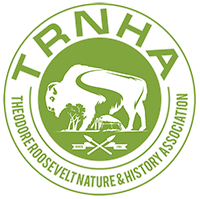 Theodore Roosevelt Nature and History Association(TRNHA), a nonprofit organization, exists to assist and support Theodore Roosevelt National Park, Knife River Indian Villages National Historic Site, and Upper Souris National Wildlife Refuge. Proceeds from our retail operations, memberships, and donations support the educational, interpretive, and scientific research programs to enhance the experience of park visitors. TRNHA is committed to working with the National Park Service to provide visitors with an unforgettable experience. 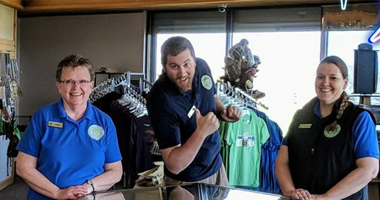 Our staff works alongside Park Rangers answering questions and providing amazing interpretive merchandise for you to take with you as a memory of your trip to North Dakota! 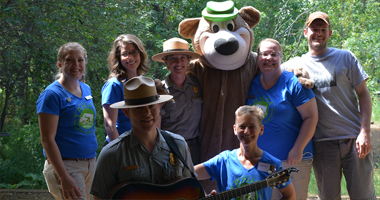 TRNHA assists in the publishing of free trail guides, informational brochures, and the Junior Ranger program. In addition to free publications TRNHA also helps educate the public by funding and hosting special events in the sites we serve. 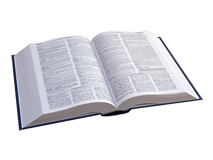 Funds are provided by TRNHA to support scientific and oral research. Recent funding has included a mountain lion study and elk management efforts. 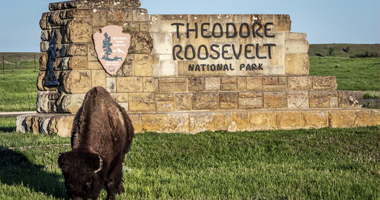 Did you know that Bison were reintroduced into Theodore Roosevelt National Park in 1956? Learn more here! TRNHA seeks an enthusiastic, detail-oriented Inventory and Media Associate to assist with retail operations, communication, and development within all aspects of our organization. The Inventory and Media Associate will be responsible for managing Park Store inventory, online order processing, social media and webpage management, and other tasks as assigned. Copyright 2018. Theodore Roosevelt Nature and History Association. All Rights Reserved.